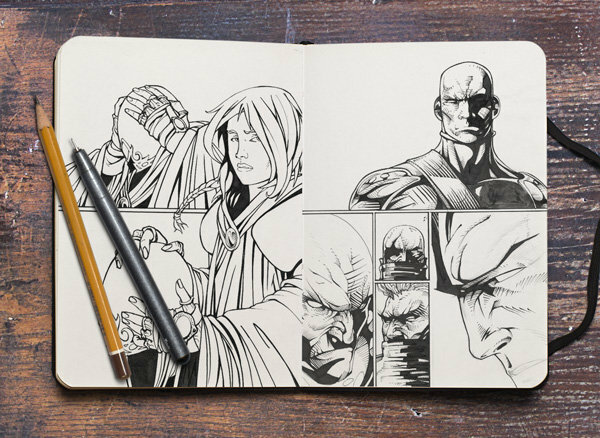 Here’s a photo-based sketchbook mock-up with fully separated and movable objects and shadows. 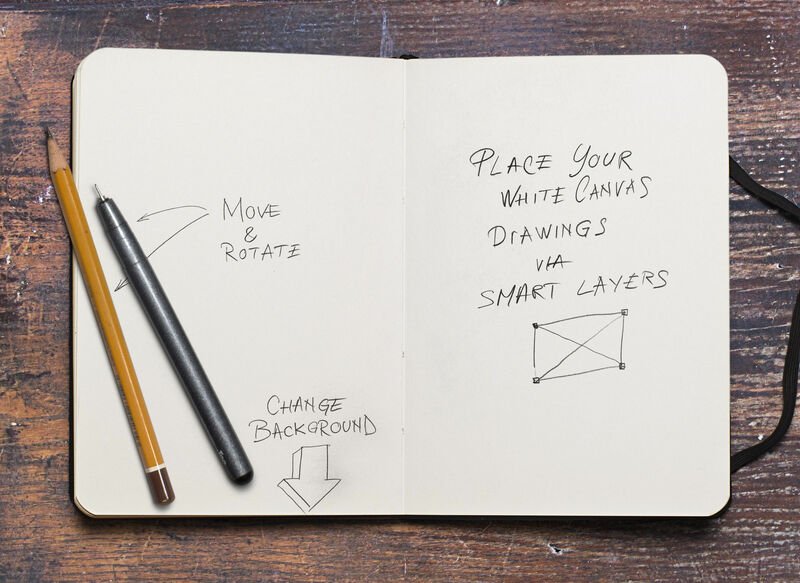 The PSD uses smart objects which let you place your drawings with ease. The artworks used as placeholder in the screenshots belongs to Alexandru Popa.